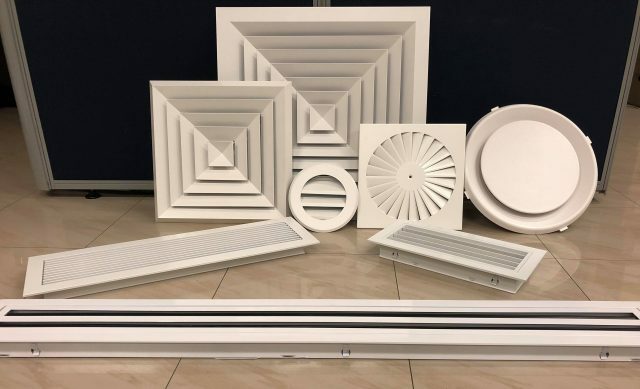 You can talk with air conditioning diffuser suppliers if you ever need help with fixing any problems relating to your diffuser. One of these concerns relates to diffuser sweating. This is a concern that often appears in hot or humid areas, although sometimes it might be a sign of something more significant in your Sydney AC setup. Sweating develops when moisture builds on the faces of the diffuser layers and the T-bar grids next to those diffusers. The moisture can collect and start to drip off of the diffuser. The main concern about sweating entails more than just the diffuser causing your floor to become slippery. Air conditioning diffuser suppliers state that a diffuser that is subjected to sweating can rust over time. The surrounding ceiling surface may also be at a risk of damage. You might need help with new insulation supplies Sydney AC experts can provide you with. New insulation materials can be applied around the ducts surrounding the diffusers. These will keep the air coming out from being too far off from what you are trying to produce, thus reducing the risk of sweating. Any coils around the VAV box and any filters around the diffuser should also be cleaned off. It is easier for sweating to develop when there are too many dirty materials all around. Do You Need a New Diffuser? You might need to get a new diffuser from one of the air conditioning diffuser suppliers you can contact for the task at hand. This is only for cases where the diffuser has rusted far too much. See what insulation supplies Sydney AC groups can provide you for your diffuser needs. AirTag can help you with resolving many of the problems you might come across in your Sydney-area home’s AC setup.